Price doesn’t always translate to quality; that is a fact we can all apply to nearly anything. We may find ourselves paying top dollar for a product, only to be disappointed with how poorly made it is. On the other hand, we can get our hands on a high-quality item for practically a steal, having paid only a few dollars on it. The same can be said about bow banners. 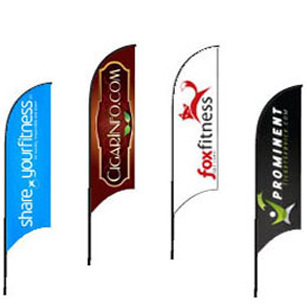 You don’t need to buy a set of expensive bow flags just to make your outdoor marketing campaigns more effective. Instead, you can go cheap without sacrificing quality. There is always a cheap banner you can find out there, and we are one supplier that can deliver it in good quality. We sell high quality bow banners at very affordable prices. These banners are great for outdoor signage, and they will work indoors as well. You can install them along sidewalks and in parks, place them in front of your store, or even put them at strategic areas in shopping centres. You can use them to market your products and services or, if you’re an event organiser, the corporate logos of the companies sponsoring your events. They are simple yet attractive, and they sport a smart and stylish design. 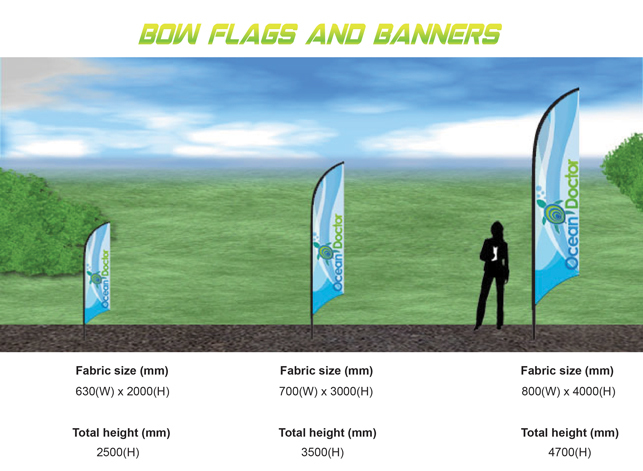 The bow flags we produce are comprised of a fabric graphic supported by an aluminium spine. The fabric graphic is done in full colour, rich in detail and in hue. Not only are these banners cheap, but you will also get a lot of mileage out of them. That’s because the fabric graphic of the banner is durable and resistant to the elements. Thus, you can use them as often as you want, and you can leave them outside for as long as you need without worrying about them fading or tearing so fast. Additionally, it will not topple over easily due to its sturdy support. Taking them from one place to another is also convenient because each banner comes with its own carry bag. These flags are also very practical in that you don’t have to buy a new set every time you need a new fabric graphic. You just buy your new fabric graphics from us and put them up using the old aluminium support. In short, these banners will address your needs and, at the same time, save you a lot of money. Our banners usually come single-sided. But you can also have double-sided banners if you want. Double-sided fabric graphics will increase the power of your displays without significantly increasing their cost. These bow flags are very easy to assemble. The first thing you need to do is to put together the spine of the banner. The spine is made up of two connecting tubes; attach these tubes together and lock them in place at the joints. Afterwards, insert the spine into the seam at the side of the fabric graphic. Once that is done, fasten the bungee cord to the bottom end of the spine to keep the fabric graphic in place. Then you slip the assembled banner at its provided base. For indoor installations, use the crossbar and just leave it on the floor. For outdoor installations, drive the spike into the ground first and then insert the spine of the banner into this spike. It will only take you five minutes to set up this flag. 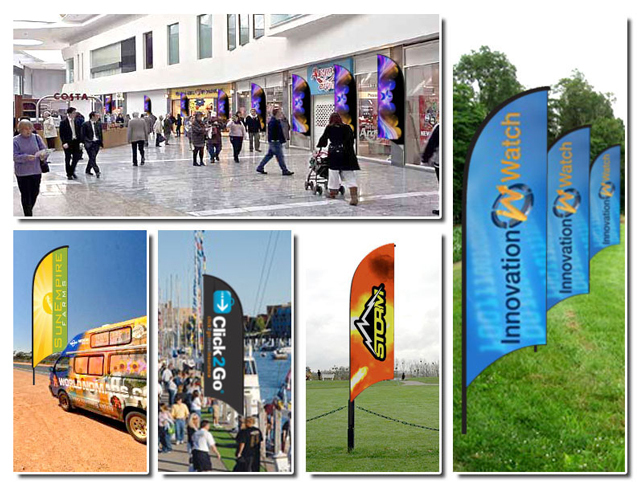 Our high quality bow banners and flags are practical solutions that will truly address your outdoor advertising needs without costing you a fortune. You won’t find the quality we provide from most signage companies in Melbourne. We supply banners and signages in Melbourne, Sydney, Perth, Adelaide, Canberra, Brisbane, Gold Coast and Darwin. Call us for more information on this product today.